As President Mahinda Rajapaksa grapples with divisions in his Cabinet over the 13 th Amendment to the Constitution, several ministers this week voiced their opposition against repealing the amendment. 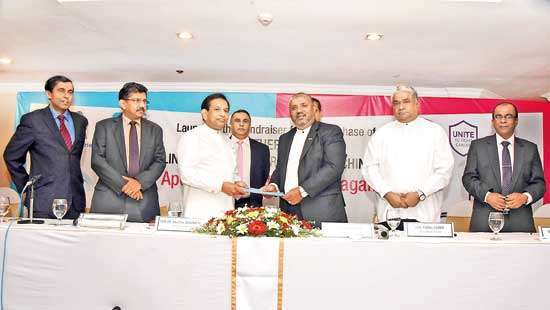 Among them was Fisheries and Aquatic Resources Development Minister Rajitha Senaratne. Senaratne joined ministers Tissa Vitarana, D. E. W. Gunasekera, Vasudeva Nanayakkara, Reginald Cooray and Chandrasiri Gajadheera in publicly taking a stand against withdrawing the 13th Amendment and is arguably the most vociferous in the group. 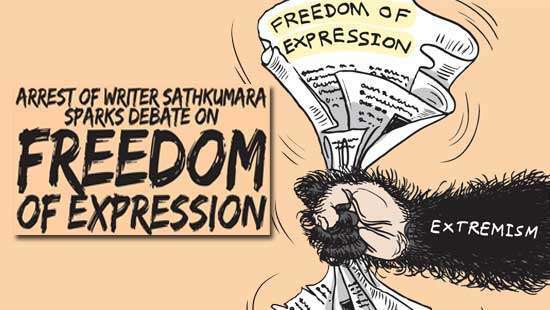 This comes after weeks of posturing by ministers Champika Ranawaka and Wimal Weerawansa, leaders of the Jathika Hela Urumaya and the Jathika Nidahas Permuna respectively, calling for the repeal of the controversial legislation enacted under the Indo-Lanka Accord twenty six years ago. Sixty-three-year old Nambukara Helambage Rajitha Harischandra Senaratne has been somewhat of a rebel from his student days. He studied at Nalanda Vidyalaya and Ananda Vidyalaya and graduated as a dental surgeon from the University of Peradeniya in 1974.In 1975, he was appointed as the Secretary of the Government Dental Surgeons Association (GDSA), the trade union of dental surgeons. It was a position he was to hold for the next fourteen years during which the GDSA fought many a battle with the then J. R. Jayewardene regime. Senaratne was a leading figure in the campaign against the North Colombo Medical College in Ragama. He also ensured that the GDSA and the Government Medical Officers Association (GMOA) supported the strike launched by the main nurses’ trade union. "In the current controversy, he appears to be no different, saying that he was prepared to resign his portfolio if the 13th Amendment is repealed." Initially a disciple of leftist leader Colvin R. de Silva, he soon found a like- minded ally in Vijaya Kumaratunga and was instrumental in setting up the Sri Lanka Mahajana Party (SLMP) with the aim of becoming an alternative to the two major parties. "Senaratne’s declaration regarding the 13th amendment therefore, constitute a formidable challenge to the government..."
After Kumaratunga was assassinated, the SLMP was beset with divisions, leading to his widow, Chandrika Kumaratunga leaving the SLMP and forming the Bahujana Nidahas Peramuna (BNP). Senaratne functioned as its secretary. Ironically though, Senaratne had parted ways with Kumaratunga by the time the latter was chosen to lead the Sri Lanka Freedom Party (SLFP) in 1994 and led the party to a return to power after seventeen years of United National Party (UNP) rule. However, he entered Parliament in 1994. Senaratne was again elected to Parliament at the general elections in 2000 as a nominee of the UNP from the Kalutara district polling 73,000 preference votes. In the general election held one year later, he had increased his vote base to 102, 000 coming a close second to Mahinda Samarasinghe. In the short lived UNP government which functioned under President Kumaratunga, Senaratne was entrusted with the Ministry of Lands and Land Development. Within the government he acquired a reputation as a rabble rouser, sometimes publicly questioning government policies. As Minister of Lands, perhaps his most significant achievement was in formulating ‘The National Policy for Land in Sri Lanka’ with the introduction of an efficient, transparent land registration and titling system. At the general elections held in 2004, the UNP was defeated and relegated to the opposition once again but Senaratne retained his seat polling 97,000 preference votes and topping the district list for the party in Kalutara. Senaratne was among those who crossed over to join the Cabinet along with the then UNP deputy leader Karu Jayasuriya in January 2007. Those defections hurt the party enormously but Senaratne was rewarded with a portfolio, Construction and Engineering Services.Senaratne was appointed as Minister of Fisheries and Aquatic Resources Development following his return to Parliament after the 2010 general elections. He has retained his portfolio since then, maintaining a relatively low profile in the government. He was once embroiled in a controversy when his wife, Dr. Sujatha Senaratne, also a dental surgeon, was appointed as Director of the country’s largest hospital, the National Hospital of Sri Lanka in Colombo.Medical professionals argued that a medical doctor rather than a dental surgeon was better suited for the position and the matter was taken to courts. It was speculated that Dr. (Mrs.) Senaratne was appointed to the post for political reasons. A politician who always displayed socialist tendencies, Senaratne has been an ardent supporter of the concept of devolution of power and has consistently advocated greater autonomy for the minority communities. Therefore, his stance in supporting the 13thAmendment comes as no surprise. 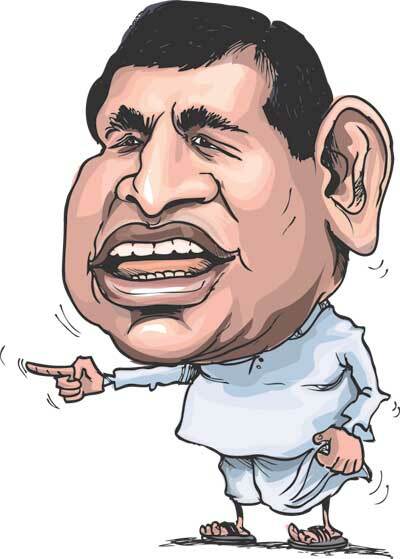 Senaratne has over the years acquired a reputation as a garrulous politician who sometimes pays scant regard for decorum and dignity, especially when on a political platform. Similarly, he is known to be forthright and outspoken when the occasion demands. In the current controversy, he appears to be no different, saying that he was prepared to resign his portfolio if the 13th Amendment is repealed. It is the first instance where a Cabinet Minister has made such a defiant statement publicly in the present government. It will be recalled that leftist ministers Tissa Vitarana, D. E. W. Gunasekera and Vasudeva Nanayakkara previously opposed certain measures adopted by the government-most notably the introduction of the 18th Amendment-but they have rarely translated that opposition into direct action. Senaratne’s declaration regarding the 13th amendment therefore, constitute a formidable challenge to the government at a time when it is known that key personalities within it including Defence Secretary Gotabaya Rajapaksa are advocating its withdrawal.Previously it was thought that the public displays of protests against the 13th Amendment by Ministers Ranawaka and Weerawansa had the blessings of the highest authorities and were a means of mobilising public opinion against the legislation. Now however, with six ministers entering the fray and voicing their unqualified support for the amendment, President Rajapaksa finds himself in an extremely difficult position having to reconcile two factions with opposing views within his Cabinet. 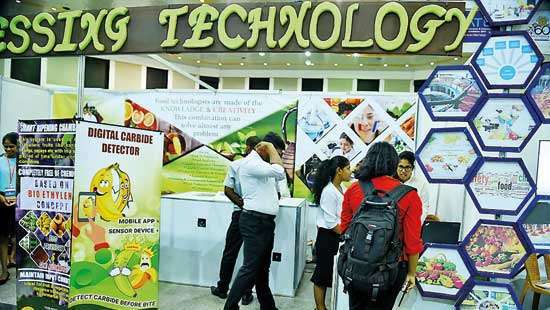 For Minister Senaratne such controversies are second nature. His political history, where he has changed political parties frequently suggests that he is not afraid of consequences if he cannot agree with the government on this issue. Surely, he will continue to be in the news in the days to come. Well done. You are thinking ahead. We admire your stand on this regard.